We’re accustomed to holiday rock songs, but Halloween rock songs are few and far between. I mean Michael Jackson’s “Thriller” always puts us in the Halloween mood. 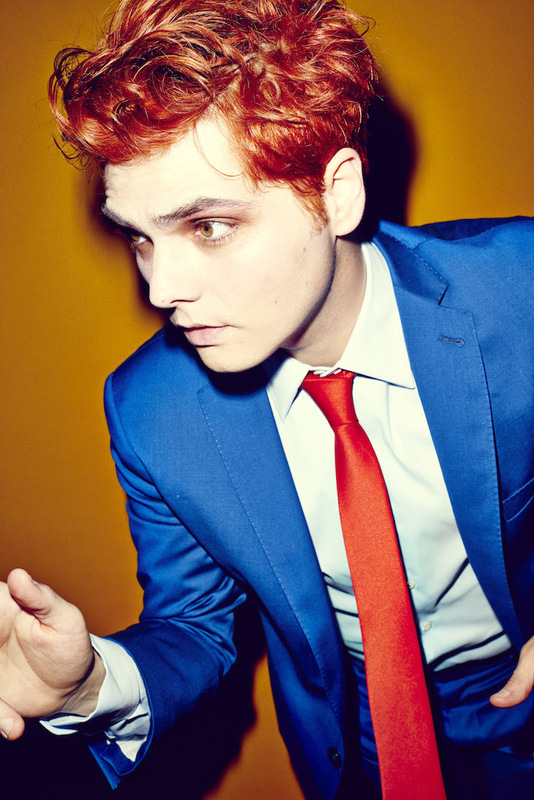 But now, Gerard Way the former lead singer of My Chemical Romance has a spooky single, “Baby You’re a Haunted House,” which was just released through Reprise Records. Way announced back in March that he was working on new music and this is his first release since 2016. The video intro includes a garbled mock of Ed Sullivan introducing a four piece band resembling The Beatles. The camera pans to the four band members, who immediately break into song. The band is clad in skeleton wear but dressed in classy suits. The clever singer, Way and his band jam on their guitars with steady drums in the background. Lyrics include, baby you’re a haunted house, better find a better superstition, we’re gonna stay in love somehow, cause baby you’re a haunted house now. Way had this to say, “Hey all! I wrote a song called “Baby You’re a Haunted House” about all our inner ghosts and demons and what it feels like being in love and having to deal with your own internal horror show. I tried not to really overthink it too much as I really wanted to start getting music out into the world again and sharing my art. The haunted house was built by a model maker named Damien Webb and it kind of inspired me to put the song out for Halloween, as it seemed fitting with the holiday. I hope you enjoy the song. It was a lot of fun to make and features my brother Mikey Way on bass, Tom Rasulo on drums, guitar and vocals by me, an additional guitar by Ian Fowles.” The song was recorded by Doug McKean. Way’s solo career is varied after he dissolved My Chemical Romance back in 2013. His work involves writing comics including a new release of Hotel Oblivion #1 through Umbrella Academy. Way & Gabriel Ba reunite to create Hotel Oblivion. With a Netflix series soon to debut, the award-winning and best-selling superhero series returns, stranger than ever. And their past is coming back to hunt them. Hotel Oblivion #1: Umbrella Academy: faced with an increasing number of lunatics with superpowers eager to face off with his own wunderkind brood, Sir Reginald Hargreeves developed the ultimate solution. Now, just a few years after Hargreeves’s death, his Umbrella Academy is scattered. Number Five is a hired gun, Kraken is stalking big game, Rumor is dealing with the wreckage of her marriage, a rotund Spaceboy runs around the streets of Tokyo, Vanya continues her physical therapy after being shot in the head–and no one wants to even mention Seance until issue #2.